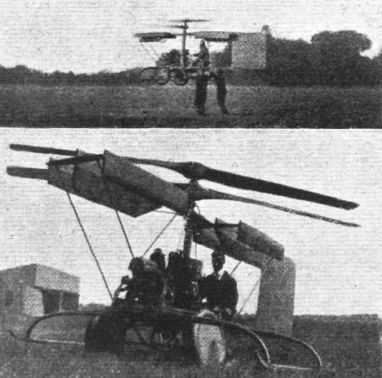 THE BERLINER HELICOPTER: Last week we gave illustrations of the Petroczy-Karman helicopter, and here is shown two views of another direct-lift machine, invented by H. A. Berliner of Washington, U.S.A. The top photograph shows it in flight (on June 10 last), and below is a close-up view. 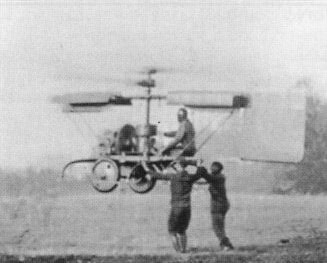 The first successful flight of this machine, before the addition of the vertical stabilising fins and rudder, was made on November 11, 1919.